‘member what I was saying about the Grass-Mud Horse? 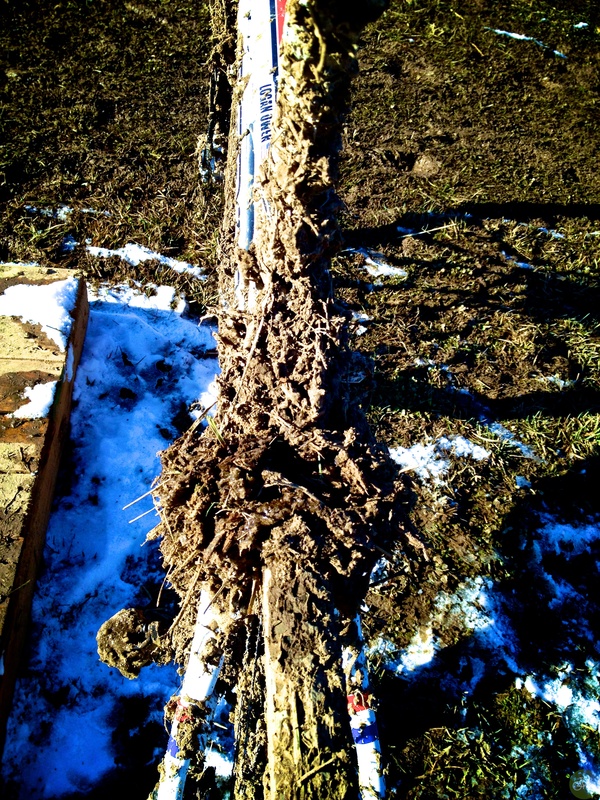 After that Mens 45-49, Masters CX Worlds Championship race, could’ve knocked the frozen grass mud off the bikes, built a hut, and enshrined the winners. Never ridden or seen conditions quite like that. It was a different course around every corner with guys losing lines, derailers flinging off, and brake cables snapping. After finishing the race, got off the bike, and it just stood there pissed. Like WTF was that. An hour later, it was frozen solid, not moving, entombed in Kentucky bluegrass, like bourbon brown carbonite. Down the river from us, the organizers were building a flood dike for the Elite course, while we beat our bike with sticks to unlock them from their mud cocoons. The Masters organizers left the pressure washers outside and they froze solid. For the rule minders, they’re required to have working wash stations. It was cold chaos in the pits and pissed mechanics in the tents. 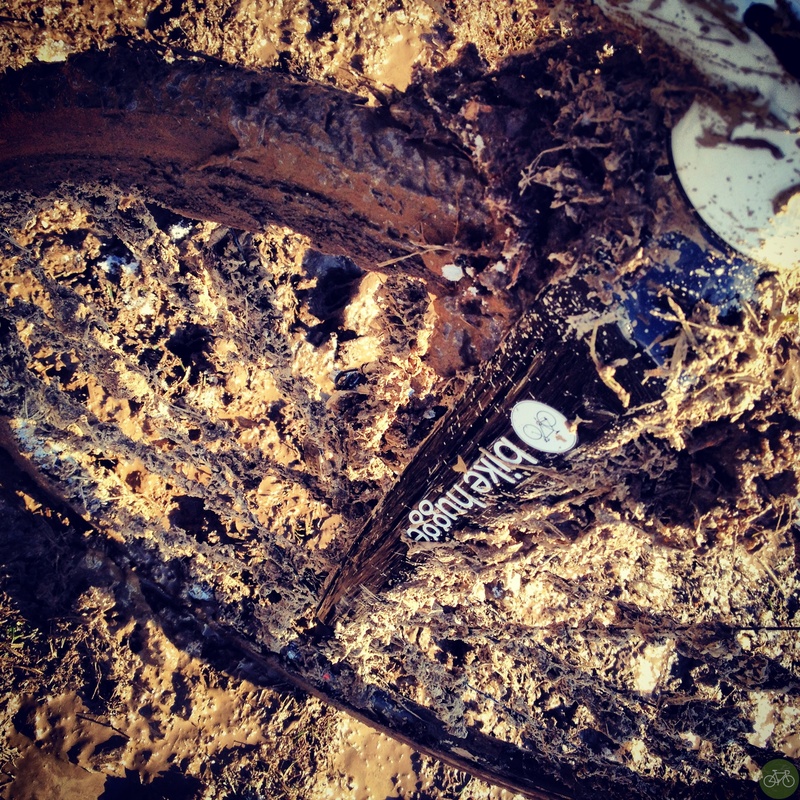 I rode until the wheels and cranks stopped turning and then ran until getting pulled at lap 2 of 4. Don Myrah won. Perseverance, pushing yourself to the limit, and redemption are steeped in every story line in this sport. For me, after a season that wasn’t, I had a good race and moved up from a last row start to 73rd out of 87 starters. Only 30 finished on the lead lap and all of us were spent, confused, and our body temperatures dropped to dangerous levels. 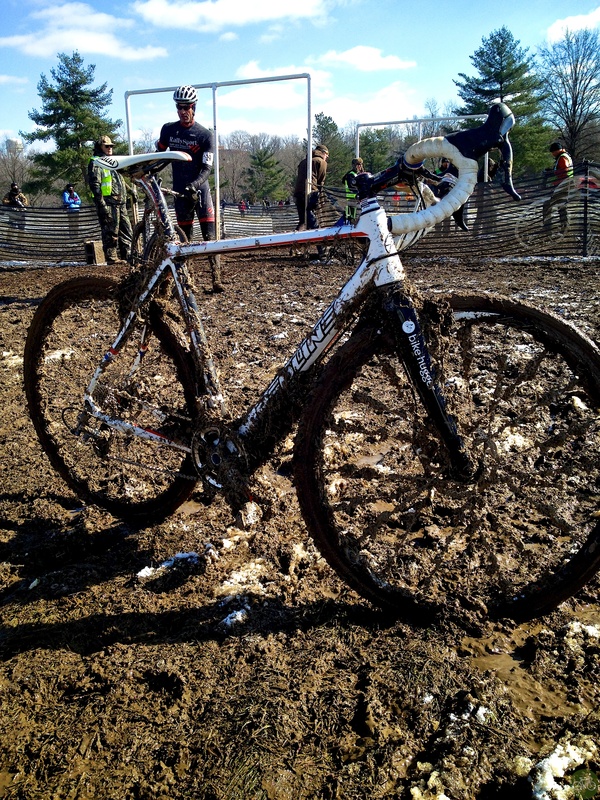 The 12/13 CX season ended in that bog and another started. I’ll go into it with a more determination than ever. I know I can move up more next time and relieved I finally did.